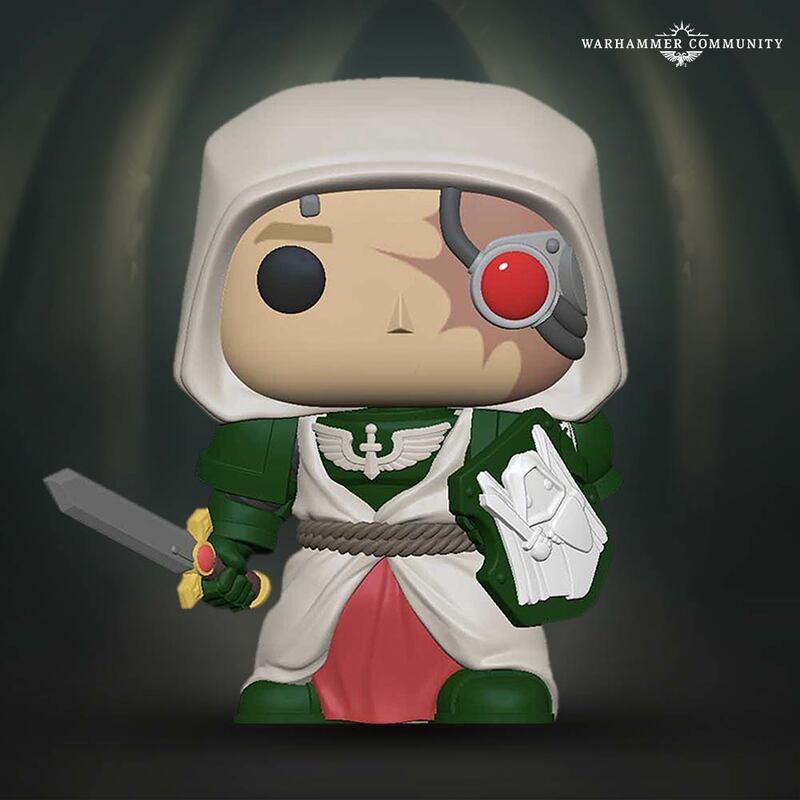 Warhammer 40,000 Funko Pop! Figures | Ciim.ru - новости для Вас ! Back with us? Great. At the London Toy Fair this week, we debuted the first collaborations between Games Workshop and Funko. Together, we have melded the aesthetics of the 41st Millennium with the distinctive design of Funko Pop!s to create something that is the best of both worlds. The first wave of Warhammer 40,000 Funko Pop! figures consist of four Space Marines, one for each of the four most famous Chapters. From the feral savagery of the Space Wolf to the hooded intrigue of the Dark Angel, these four figures capture the essence of each Chapter – just in a cuter way than we’ve seen before. Sarah: When the licensing team approached me to ask for a bunch of tiny Space Marines, I said “Don’t we do that already?” and they were like, “Yeah, like those, but slightly bigger, and cuter”. I realised this was an unbridled joy and a devilish challenge, because besides a list of units we wanted to do, the only direction given was to make something really cool that combined the best of both worlds. I knew the first place to start would be nailing the right proportions. Both Funko Pop! and Space Marines have a very distinct look, and making them mesh wasn’t as simple as downloading a template and applying a Space Marine filter. I wanted to find a respectful medium between the two that was as sharp and distinct as the source material while being fun and approachable enough that it would fit right in beside a work monitor or on a display shelf beside other Funko Pop! figures. For that, there’s a sort of unspoken golden ratio that Funko rely on that would need to be adhered to in terms of lengths, widths, curves, and design minimalism. Yet to evoke the Warhammer 40,000 aesthetic, little of the detail could be sacrificed for the sake of simplicity. Instead, extra care was paid to extrapolating the same chunky treatment of the Funko Pop! look to the armour plates themselves. Everything, right down to the fingers on their hands and the rivets on their guns, would need to match the same ‘shape language’ to keep them looking coherent while maintaining their own identity. Funko themselves were instrumental in this process, taking the sketches above and lending invaluable feedback based on their years of experience in designing vinyl miniatures. Between the Funko crew, our brilliant team in licensing and a little bit of input from myself, we very quickly arrived at a product that was at once evocative of our own distinct look while fitting right in beside their Funko brethren.